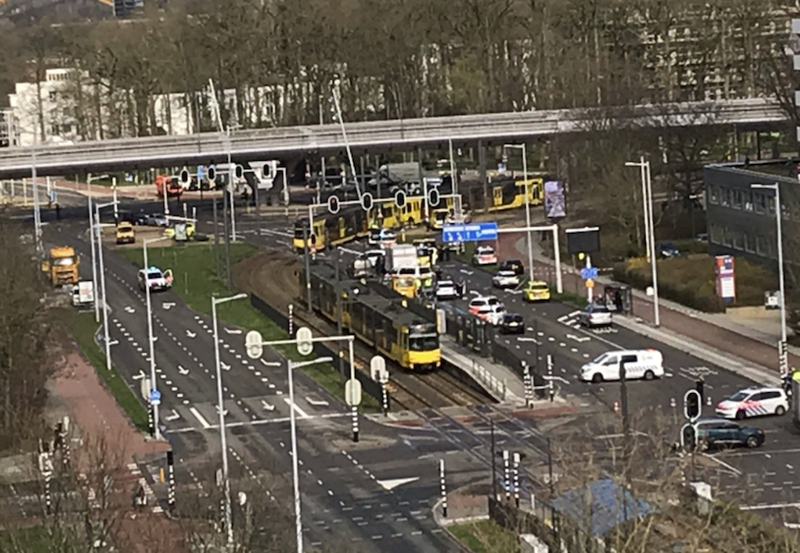 Another five were injured in the incident on the 24 Oktoberplein, near the city’s main railway station, at around 10.45am on Monday, according to the city’s mayor, Jan van Zanen. Police have issued a photograph of the suspect, 37-year-old Gökmen Tanis, apparently taken in the tram shortly before the shooting. Members of the public have been advised not to approach him but to call the investigation team on 0800 6070. The national anti-terrorism agency NCTV raised the terror alert level to 5, or ‘critical’ – the highest available – in Utrecht province until 6pm, but kept it at level 4 in the rest of the country. Level 5 has never previously been used. Speaking at a press conference in the afternoon, Rutte said: ‘Our country has been shocked today by an attack in Utrecht. There are injuries and possibly fatalities. A terrorist motive has not been ruled out. ‘Violence has left innocent people badly hurt. Our thoughts are with them and their nearest and dearest, whose lives have been abruptly turned upside down today. ‘An act of terror is an attack on our civilisation, on our open and tolerant society. Pieter-Jaap Aalbersberg, head of the NCTV, said the heightened terror alert had been put in place primarily so the emergency services could do their work, though he did not rule out a terrorist motive for the attack. ‘There is no reason to raise the threat level in the rest of the country,’ said Aalbersberg. Police carried out searches and raids on a number of locations around Utrecht in the wake of the shooting. 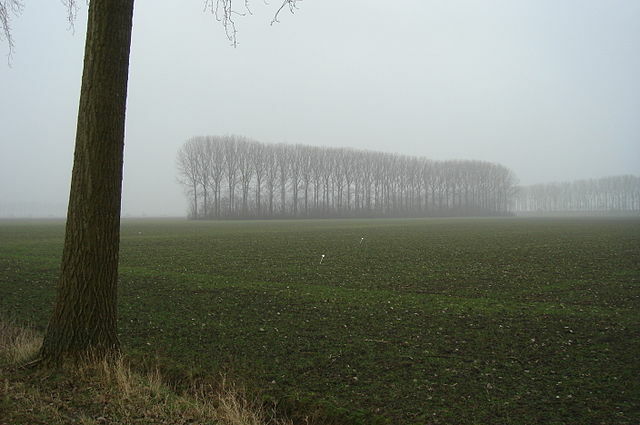 Anti-terror police were also seen searching a property in Trumanlaan, near the scene of the shooting. Police said the suspect may have fled in a red Renault Clio. A car matching the description was seized in a carjacking on Amerikalaan shortly before the shooting and found abandoned on Tichelaarslaan. Members of the public were told to stay away from the location because of ‘danger of explosives’. Officials urged people to stay indoors until the crisis was over. Utrecht University and schools are advising visitors and students not to go outside, while local mosques have closed on the advice of the police. The advice to stay indoors was lifted shortly after 4pm. Mosques in the city have closed their doors and been given extra police protection. A spokesman for the Ulu mosque, the largest in Utrecht, said the decision had been taken ‘in consultation with the police’. Security was also stepped up at mosques in other Dutch cities including Amsterdam and Rotterdam. One exception was Thierry Baudet, leader of the nationalist right-wing Forum voor Democratie, who said it was ‘essential’ to continue talking about the country’s future.